PHOTO: Allen Ramsey, DWCPhoto.com. Highlands senior Carter Holmes goes after the ball in a recent game against Louisville Trinity. 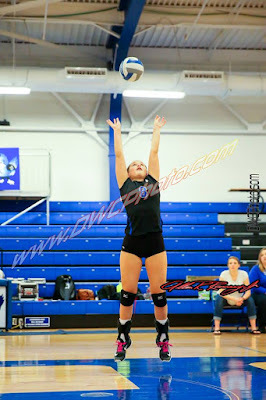 The Bluebirds defeated St. Henry, 3-1 Thursday. The Highlands Bluebirds boys soccer team may not be mentioning revenge out of respect for opponents. But Highlands made a list of the teams that handed the Bluebirds their eight losses last year on the whiteboard in the shelter at Tower Park. Highlands (6-0-1 overall, 3-0 9th Region) crossed a third one off that list Thursday with a 3-1 victory over the St. Henry Crusaders (0-5-1, 0-4-1 region) at Tower Park. Highlands has outscored opponents, 27-2 on the season and opponents have outscored St. Henry, 17-3. PHOTO: Allen Ramsey, DWCPhoto.com. Highlands junior forward Porter Hedenberg makes a move in a recent game. The Bluebirds downed Campbell County, 7-0 on Tuesday. One of the goals this year for the Blue and White was to record victories against the teams that handed them their eight losses last year. Highlands (5-0-1 overall) is a quarter of the way there following a convincing 7-0 win over the host Campbell County Camels (2-2-1). Campbell County came to Fort Thomas and won 1-0 last year scoring early then staying back playing defense the rest of the game. The Camels would up winning the 10th Region before losing 1-0 to Warren Central in the state quarterfinals. PHOTO: Allen Ramsey, DWCPhoto.com. Highlands junior forward Tatum Price (5) boots the ball ahead in a recent game. She had two assists in the 4-0 Bluebird win at Campbell County. The Highlands Bluebirds girls soccer team quickly bounced back from its first loss of the season with a convincing 4-0 non-region win over the Campbell County Camels from the 10th Region. PHOTO: Allen Ramsey, DWCPhoto.com. Highlands sophomore Kenzie Nehus makes a move in a recent game. The Highlands Bluebirds girls soccer team knew it would be tested against the second-ranked Sacred Heart Valkyries on Saturday at Tower Park. 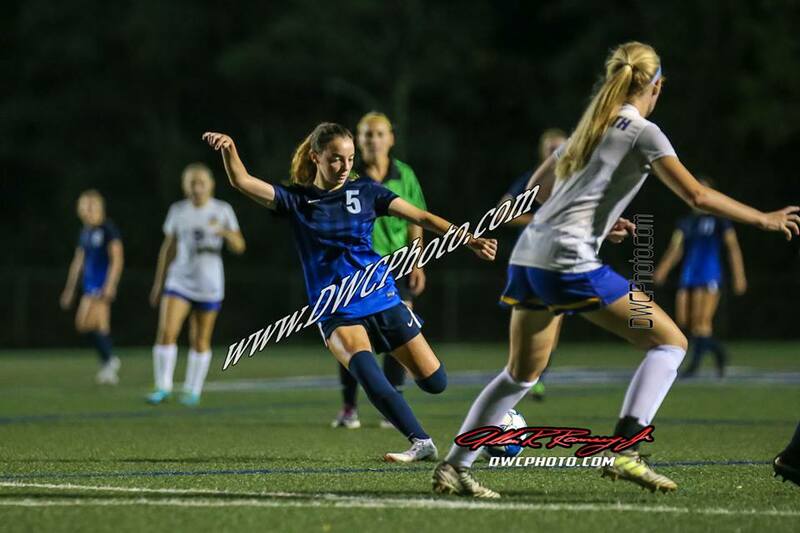 The Bluebirds (3-1) did not get down when Sacred Heart (3-0) scored in the shoot-out. But Highlands ran out of time in the 5-4 loss. PHOTO: Allen Ramsey, DWCPhoto.com. Highlands senior Margot Seidel makes a pass in a recent game. The last time the Blue and White had this kind of start was around the time many of the current players were born. The year was 2002. The Highlands Bluebirds improved to 5-0 for this first time since then with a 3-1 (21-25, 25-15, 25-19, 25-21) over the Kings Mills (Ohio) Kings Knights on Thursday in Fort Thomas. Highlands also snapped a six-game losing streak to the Knights beating them for the first time since the teams began playing on an annual basis in 2012. Twitter Photo. 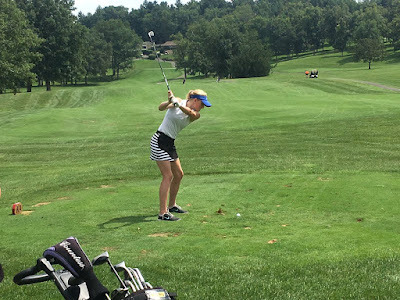 The Highlands girls golf team defeated Scott on Wednesday to move to 3-0 in dual matches. The Highlands Bluebirds girls soccer team generally does not have issues taking care of business in games it has been heavily favored in 36th District action. The same proved to be true again Wednesday. 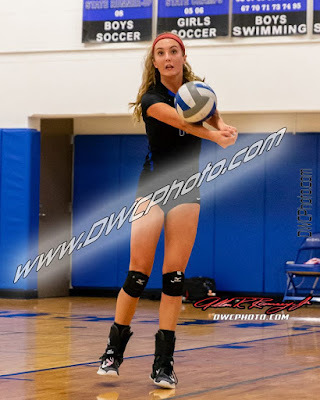 Highlands (3-0 overall and 2-0 in district play) handled the host Newport Ladycats (0-2, 0-1) by a 10-0 count. The game ended with about 30 minutes left in the second half. 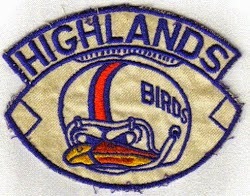 Highlands has outscored the competition, 18-0 on the season. 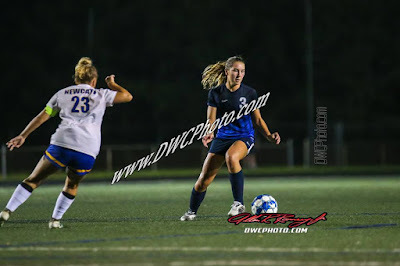 "One of the things the coaching staff really emphasized is treating a game like (Wednesday) where it is a district game and in the past, we've done pretty well against that team is coming out and still making sure we do everything like we did the two games prior and the same that we're going to do with the final 17 games," said Alex Dean, Highlands Head Coach. "It's not getting into bad habits, which is a lazy warm-up, laziness on the field and not playing fast. So it's just continuing to make sure we move forward and not have any lapses with our pre-game and our in-game performances." PHOTO: Allen Ramsey, DWCPhoto.com. Highlands senior Mike Penrod makes a move against Cooper on Tuesday. Highlands won 2-0. The Highlands Bluebirds boys soccer team has only needed one goal to win games so far this season. They've consistently made teams defend them and it has led to four shutouts to start the season. 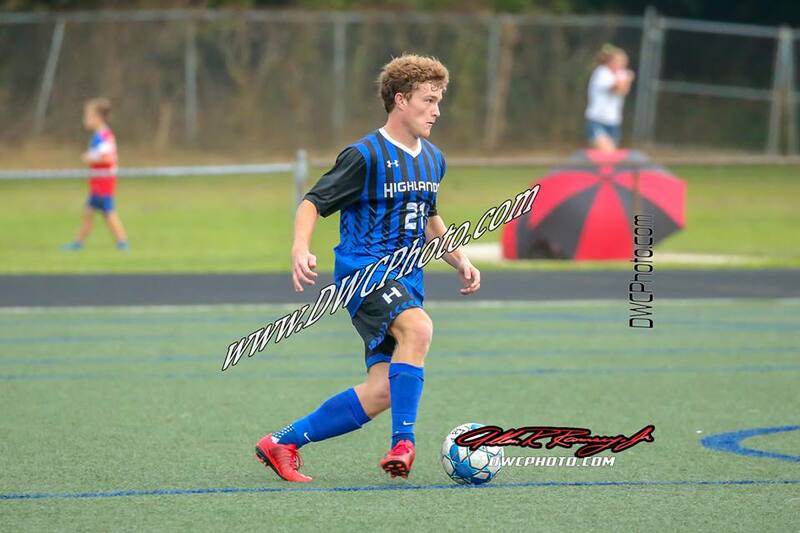 Highlands moved to 3-0-1 overall with a 2-0 victory over the Cooper Jaguars (2-2) at Tower Park on Tuesday. The Bluebirds are 2-0 in 9th Region action. They've outscored opponents, 11-0 on the season. PHOTO: Allen Ramsey, DWCPhoto.com. 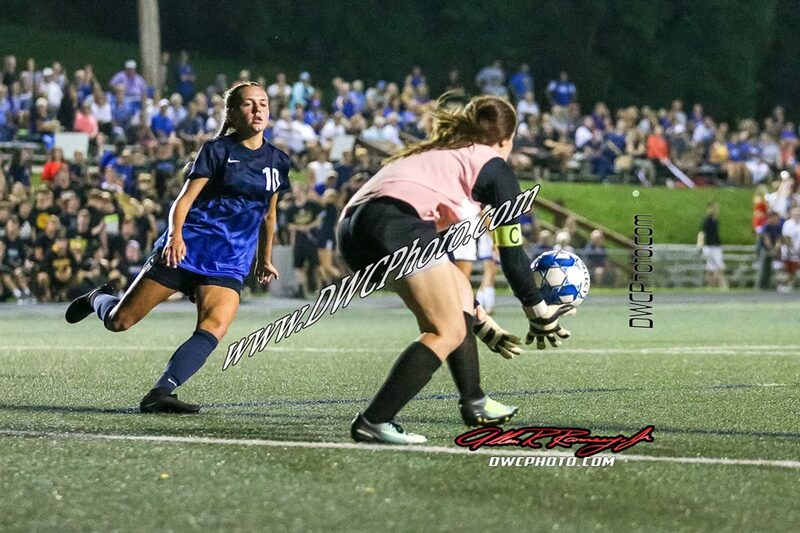 Highlands senior Lindsey Meyer (10) approaches Newport Central Catholic goalkeeper Kacy Zimmerman on Monday in 36th District play. Highlands won 3-0. It has been clear from the beginning the waves will come and come and come. Head Coach Alex Dean said the Highlands Bluebirds girls soccer team wants to continuously put pressure on the opponents hoping to capitalize on mistakes. 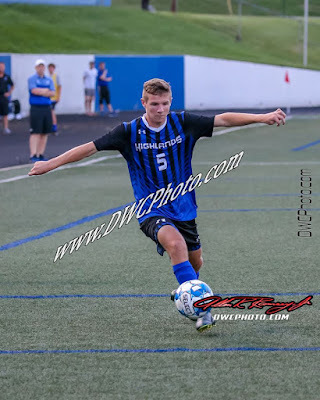 It worked out well for the second game as the Bluebirds (2-0 overall) downed the rival Newport Central Catholic Thoroughbreds (1-1) by a 3-0 count at Tower Park on Monday in 36th District action. PHOTO: Allen Ramsey, DWCPhoto.com. Senior Alex Ford (4) has helped the Bluebirds to a 2-0-1 start the first week of the season. Highlands beat Lexington Henry Clay, 2-0 on Saturday. 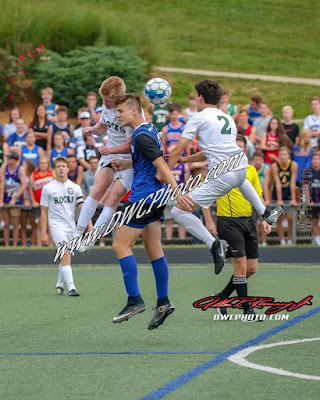 The Highlands Bluebirds boys soccer team headed back to Lexington on Saturday for the Lexington Soccer Showcase and came home with a victory. At Bryan Station, the Bluebirds (2-0-1 overall) took down the fifth-ranked Lexington Henry Clay Blue Devils (0-2) by a 2-0 count. Henry Clay owns two state championships in school history in 2010 and 1991. PHOTO: Allen Ramsey, DWCPhoto.com. Highlands junior Rylee Kirschenbaum (center) makes a pass while Casey Dunn (left) yells out instructions. The Bluebirds improved to 3-0 on the season with a hard-fought 3-2 win over Campbell County. A 2-0 start was nice for the Highlands Bluebirds volleyball team because it had not happened since 2012. But the Bluebirds entered Thursday's home opener hoping to cap off the week with an even better clean sweep of three wins in four days to start the season. That had not happened since 2008. 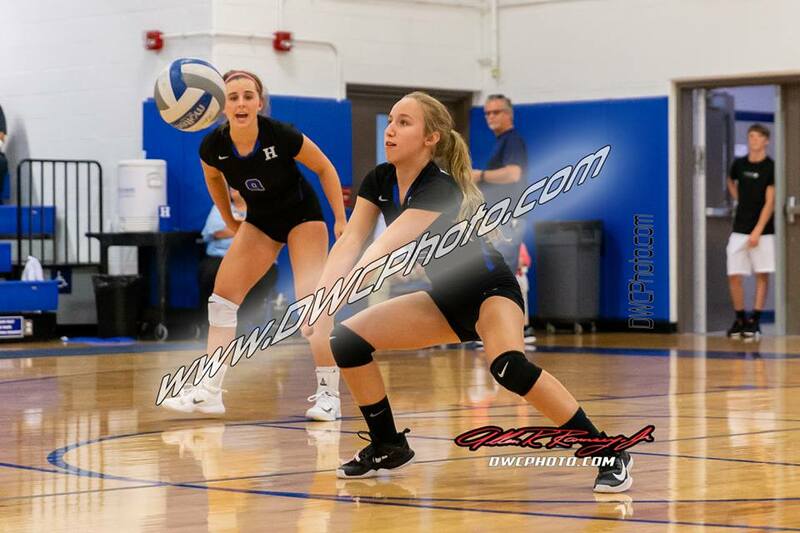 The county rival Campbell County Camels (1-2) came into the game determined to take another step forward under the guidance of second-year Head Coach Kennedy Berkley. Campbell County has seven seniors on the team coming off a 17-18 season last year. The Camels lost to Scott in the 10th Region championship last year. The nail-biter that could have gone either way saw Highlands come through for a 3-2 victory. After two sound 3-0 wins to start the season, the Bluebirds had to pull out everything to record the win. The Highlands Bluebirds boys golf team had a dual match scheduled against Campbell County on Wednesday at A.J. Jolly Golf Course in Alexandria. PHOTO: G. Michael Graham, Fort Thomas Matters. Highlands junior Ava Hockney prepares to serve in the match at Beechwood on Tuesday. 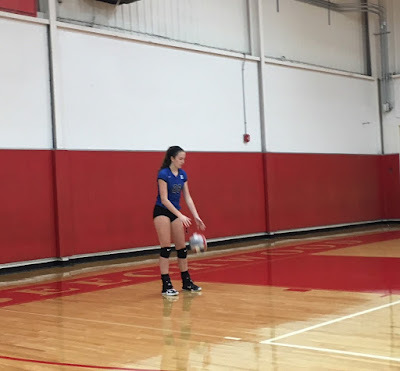 This volleyball team has shown how tough it can be when it attacks the entire court in its first 2-0 start since 2012. That happened once again in a 3-0 win (25-11, 25-14, 25-20) over the Beechwood Lady Tigers in 9th Region action Tuesday. This marked the first game for Beechwood. PHOTO: Allen Ramsey, DWCPhoto.com. Highlands junior setter Audrey Graves sends one up in a game last season. 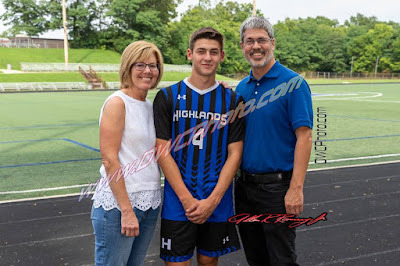 Highlands opened the year with a 3-0 victory over Bishop Brossart on Monday. The Highlands Bluebirds volleyball team opened the season with a nice win over the host Bishop Brossart Lady 'Stangs. Highlands won 3-0 (25-14, 25-17, 25-11). Bishop Brossart has a new head coach in Bree Popham. Popham is a 2009 Notre Dame alum who served on the Pandas' staff as an assistant the past two years. 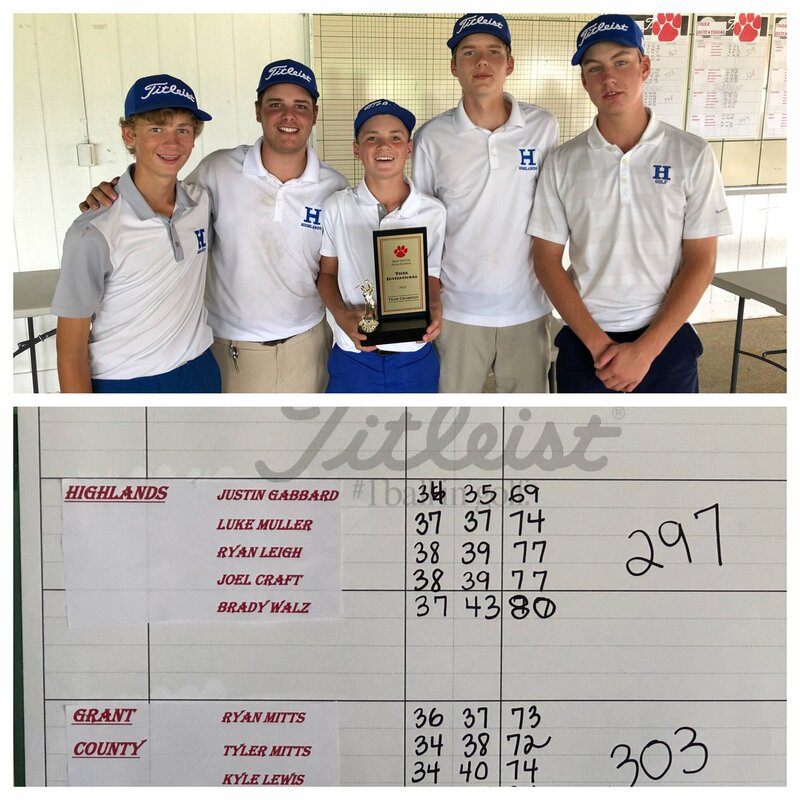 The Highlands Bluebirds boys golf team took fifth at the Pikeville Invitational on Saturday at StoneCrest Golf Course in Prestonsburg. The Highlands girls won another dual match Friday. The Highlands girls golf team won its first dual match of the season Thursday. 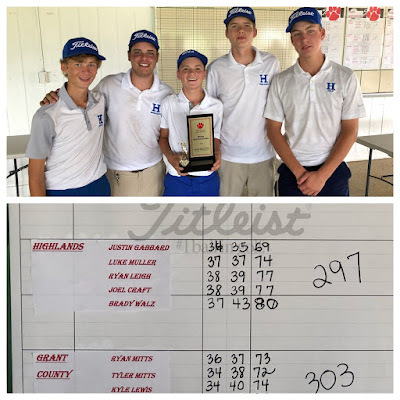 The Highlands Bluebirds boys golf team won the tri-match against 8th Region rivals Grant County and Mason County on Wednesday at AJ Jolly Golf Course in Alexandria. Highlands shot a 298 and Grant County shot a 303. Mason County had 326. Grant County won the 8th Region Tournament last year and Highlands finished second. Twitter Photo. Highlands senior Ryan Leigh finished second in the Central Kentucky Showdown shooting a 73. 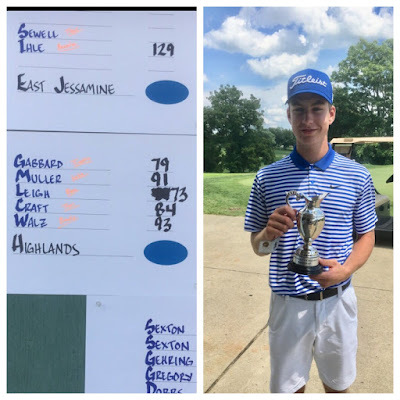 The Highlands Bluebirds boys golf team finished fourth in the Central Kentucky Showdown at the Danville Country Club on Tuesday. Twitter Photo. The Highlands boys golf team won its fourth tournament of the year Thursday winning the Beechwood Invitational. All five golfers placed in the top 15 of the tournament. The Highlands Bluebirds boys golf team won yet another tournament Thursday. Highlands won the Beechwood Invitational at Twin Bridges in California (Kentucky) on Thursday. The Bluebirds shot a 297 in the 6,007-yard, par-72 course winning it by six strokes over Region 8 opponent Grant County. Host Beechwood finished third with 328. This marked the fourth tournament win in five tournaments for the Bluebirds. The tournament had 14 teams.